Love to browse but hate the “bill shock” from your mobile data usage or running out of data? So do we! That’s why the Opera Mini mobile web browser uses compression technology to shrink down webpages to as little as 10% of their original size, so that you download fewer megabytes when you browse. We dug around in our statistics and found out that, on average, each Opera Mini user across the globe saved 90 megabytes of data in July 2016. And do you know what you can do with an extra 90MB every month? That’s right. With 90 spare megabytes you can stream 45 minutes of video or 4.3 hours of music, browse for 7.5 hours, post 260 social media updates or send a whopping 450 emails. For three different countries, we also looked at the mobile operator with the largest number of customers and how much they charge per megabyte of mobile web data. 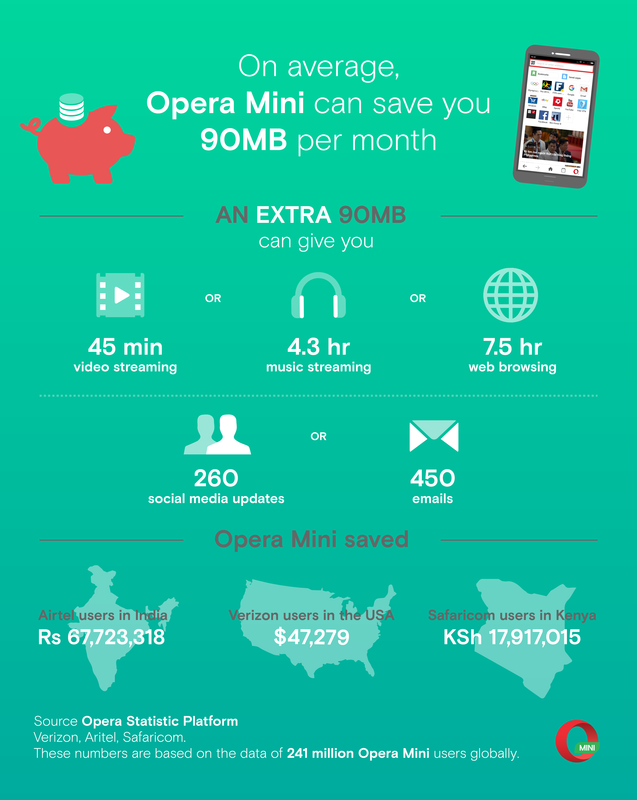 In India, Airtel customers using Opera Mini saved Rs 67,723,318 on their mobile data usage in July by downloading less data thanks to Opera Mini’s compression technology. 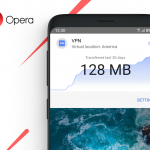 Verizon subscribers who browse with Opera Mini collectively saved $47,279, while Kenyan Safaricom users put a total of KSh 17,917,015 back into their pockets. Imagine what they could do with that extra cash! How does Opera Mini extend your mobile data usage? Video boost: This feature reduces the size of video data to shorten video loading time and combat buffering delays. That means fewer interruptions, shorter breaks and less of that darn buffering wheel. 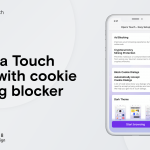 Ad blocker: Opera Mini has a built-in ad blocker to save you even more data and speed up your browsing. 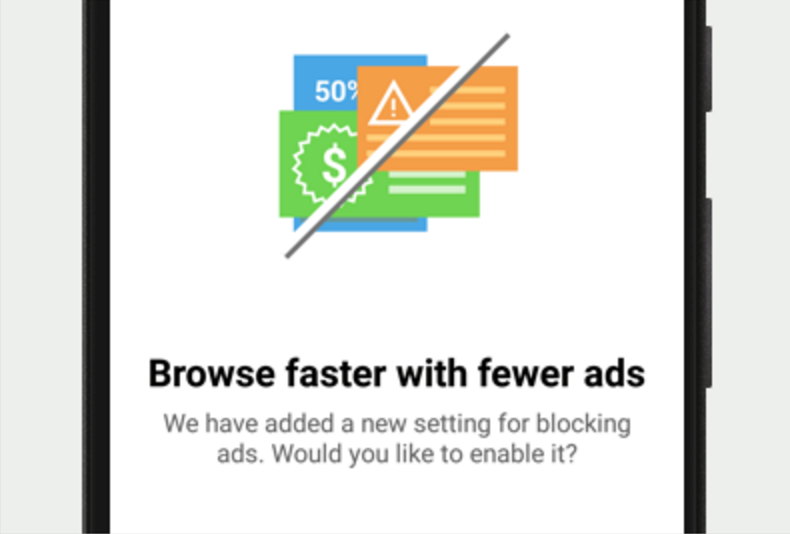 Opera Mini does not even request the ad information from the website you’re visiting, so you don’t download bloated online ads or heavy tracking. Image quality settings: In Opera Mini, you can decide for yourself what image quality level you want to have. On a small screen, you don’t really need the highest picture resolution, so you can set images to medium or low quality to load less image data. You can activate all of these by features in the data-savings summary, which you can find by tapping on the “O” menu in Opera Mini. All these data-saving features also bring you faster browsing speeds, extend the life of your mobile data plan and give you seamless surfing when your network slows down. 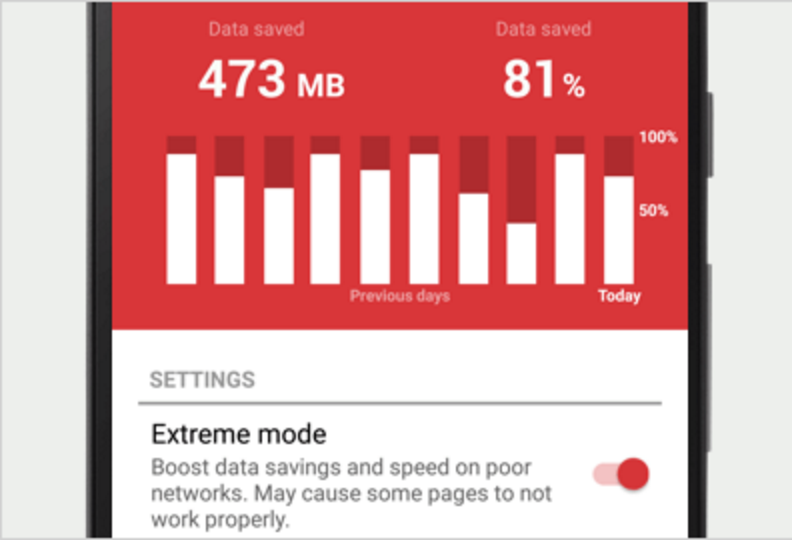 Opera Mini also tells you how much data you’ve saved, and even gives you a daily summary of your mobile data savings. Install Opera Mini for Android and try out all the ways you can save data. Tell us what you think (and how much data you’ve saved!) in the comments.